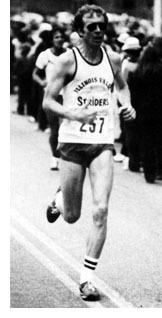 Co-founder of the Illinois Valley Striders in 1973, an organization that has grown from 19 members and two race events to a membership of 700 and more than 100 events a season, Steve Shostrom is perhaps the No. 1 name in the history of long-distance running in Greater Peoria. Founder of the now world famous Steamboat Classic in 1974, he was race director through 1993 and watched the two events of the Classic grow into a running happening that draws top athletes from around the world to compete against thousands of local runners. Since 1986 athletes from over 40 countries have competed here. As the flagship race of the Illinois Valley Striders, the Steamboat has played a major part in Peoria's revitalized River Front activities and is an event that has helped bring Peoria to the front of the pack in the world of running. In his long running career, Shostrom has run over 70 marathons including competing in 16 Boston Marathons. At the time of his induction he had run in the St. Louis Marathon every year of its 26 year existence. 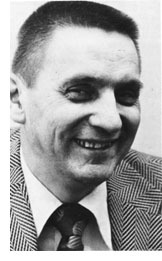 Shostrom has also been regional director for the Road Runners Club of America from 1981 through 1986, was Road Race Management Race Director of the Year in 1991, won the Neve Harms Award for Meritorious Service to Sports in 1983 and assisted in the foundation of Peoria's Race for the Cure. He is also a founding member of the Peoria Area Sports Commission, was named Peoria Area Sports Commission Volunteer of the Year in 1997 and was a founding member of the Moonlight Basketball League, an all-volunteer anti-gang program.